After I finished Consequences, my head was spinning and my pulse was racing. Thank the Lord, TRUTH was out because I WOULD NOT have been able to wait months to find out more. As I sit here trying to write my review, I am struggling because I still have questions that I need answers to. Aleatha definitely knows how to capture your attention. I have NEVER read books like this that have left me shaking my head saying, "What the f*ck just happened!" We already know how Consequences ended. I had 1000 questions in my head as to why Tony did what he did. After asking Liz my all 1000 questions, the only response she would give me was to "keep reading". As I read TRUTH, I began to realize that the TRUTH isn’t always so black and white. The “truth” isn’t always as it may appear. Surviving what Claire had been through made her so much stronger. She was emerging from her past a different woman. A woman that would not stop at anything to find out the truth behind the man she loved, Anthony “Tony” Rawlings. 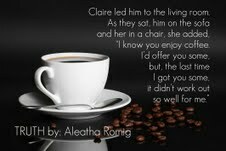 Claire is consumed with the memories of what Anthony did to her. After receiving a box containing newspaper articles, pictures of Tony, and pictures of events that have affected Claire’s life, she was on a mission to find out if there was any truth in the contents of the box. Tony once said that Claire knew him better than anyone. That was the TRUTH. For so long, Claire thought that Tony was impenetrable, however, that was not so. Tony had one weak point, and that was Claire. Claire knew she effected Tony in ways that no one knew how to. “Anthony Rawlings was capable of anything and would stop of anything to get what he wanted.” Claire knew what Tony wanted. Would she use that to her advantage? As Tony begins to show Claire the truth behind his feelings for her, I realized that Tony did have a sensitive side. Claire really is the only one that actually knows the "true" Tony, for better or worse. There are new characters introduced in this book and there are so many twists and turns that you will on the edge of your seat and your head will be spinning once again. 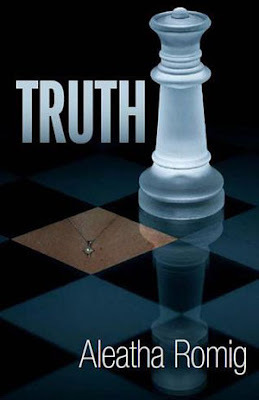 We get some answers in “Truth”, but after reading this book, I have a whole new set of questions. I must say, I absolutely LOVED Claire in Truth. She had such strength and she stood her ground when it came to Tony. Their relationship was exactly as it appears, a game of chess. Who was going to make the most strategic moves to win the game. I have a LOVE/HATE relationship with Tony. I CANNOT forgive him for his actions in Consequences, however, Tony definitely has grown on me like mold. I love the tender side of Tony, the side that he doesn’t show that often. I do not doubt his love for Claire, I just had to try and understand how he loved her. Tony grew up in an unloving household, so he didn’t know how to love. After the demise of his grandfather’s business, he vowed to seek revenge on everyone who had deceived his grandfather. I never thought Tony would go to the extreme that he did, but then I had to stop and wonder, was Tony the only one that made his grandfather a promise? Was Tony the one that did all of these horrible things? Could someone be setting Tony up? Was the TRUTH so obvious? Can the good in Tony and Claire's relationship overpower the bad? I am patiently waiting for the release of CONVICTED in the fall. I am praying that Tony didn't do all of the things that we are lead to believe that he did. We know the partial TRUTH, but I guess we have to wait for CONVICTED to get the whole truth. I found this quote on Aleatha's Goodreads wall and I think it hits the nail on the head. ONE CLICK AND GRAB THESE BOOKS TODAY !!!! MAKE SURE TO ENTER THE GIVEAWAY!!!! !